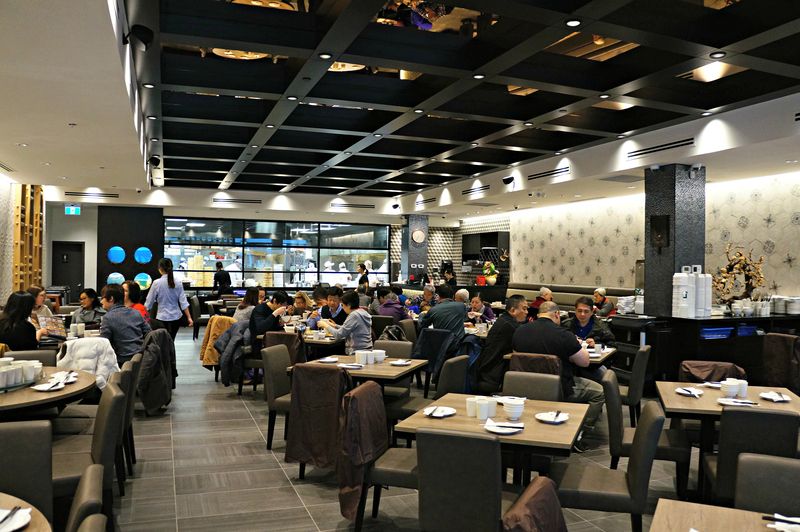 With three locations in Richmond and one in Vancouver, Dinesty Dumpling House has opened its 5th location in Burnaby, on Kingsway across from Metropolis at Metrotown. 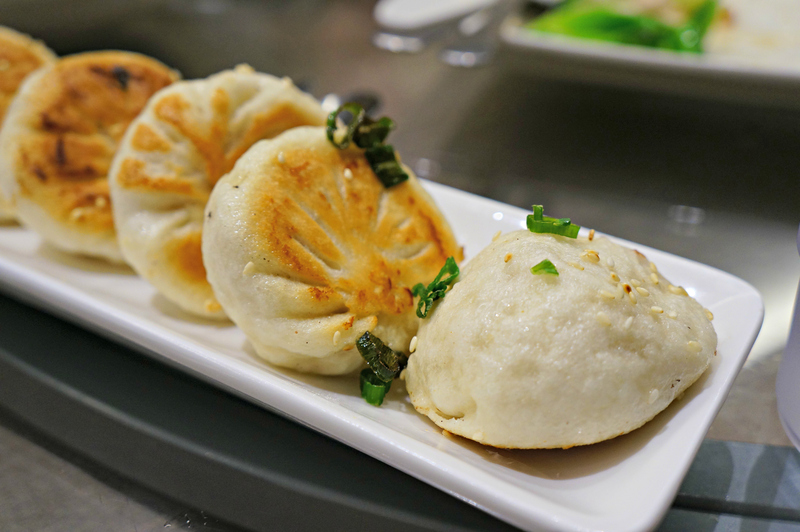 Dinesty’s feature dish is their legendary “Xiao Long Bao”, or steamed pork soup dumpling. 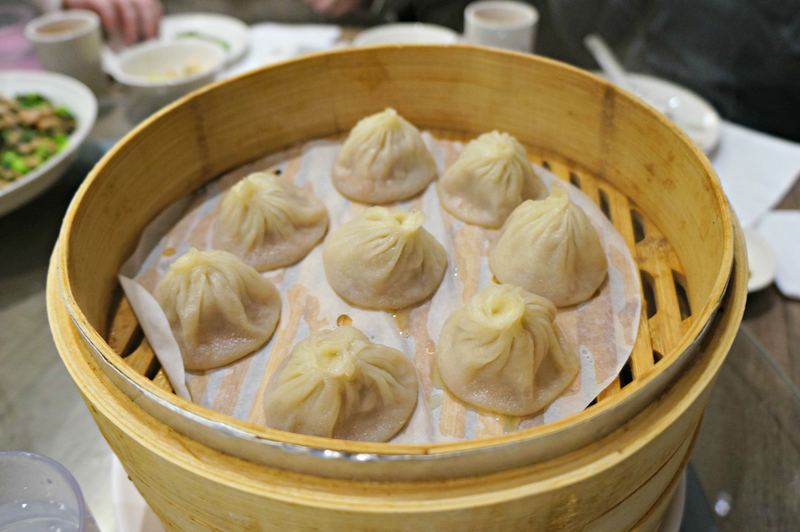 Their soup dumplings are skillfully handmade and feature natural broth, delicate and juicy pork filling, and an ultra-thin hand-kneaded wrapper. This new location is a beautiful 3,800 square feet space, with its traditional architectural concept of a “flat-screen open kitchen” and a modulated mirrored ceiling. 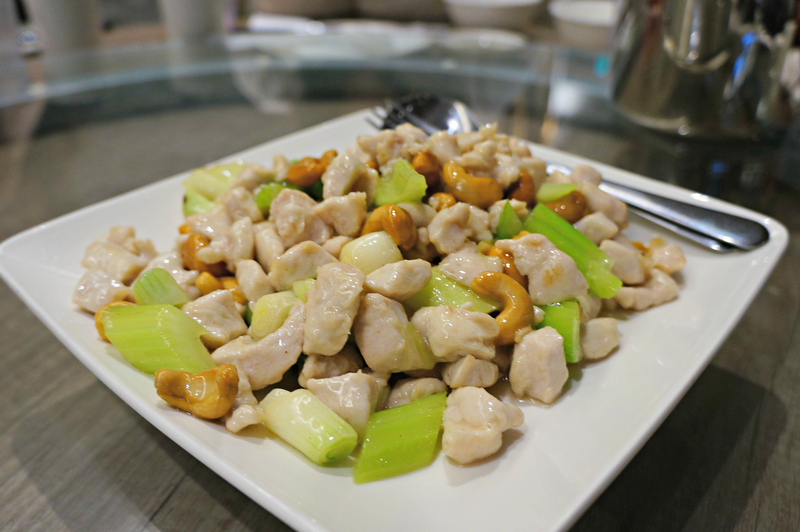 The first dish to arrive was the “Cashew Nut Chicken”, a stirfry of golden brown juicy chicken bites with celery and fragrant cashew nuts. 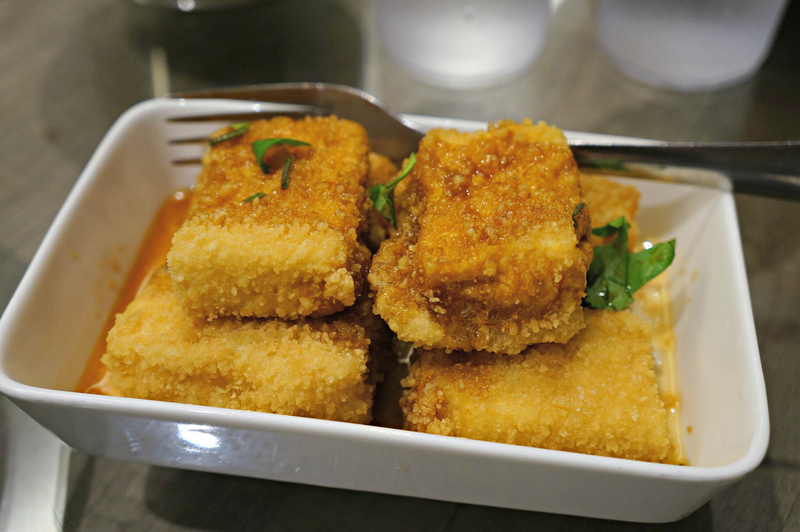 Next was the “Deep Fried Tofu Pudding in Garlic Sauce”. The combination of the crispy crunchy exterior with the soft tender tofu inside, dipped in the garlic sauce was delicious. If you like the agedashi tofu at Japanese restaurants, you’d like this! This noodle soup may look super spicy, but don’t let its looks deceive you. 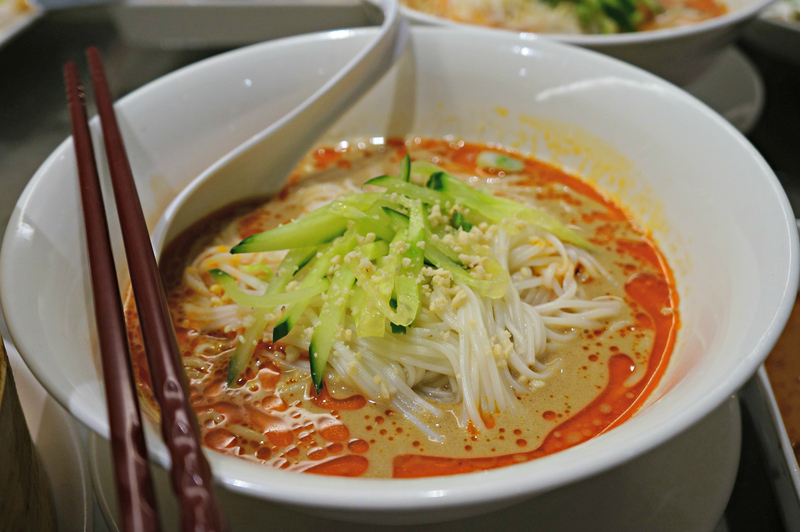 The “Noodles with Sesame & Crushed Peanuts in Spicy Sauce” is a rich bowl of soft noodles with a distinct nutty flavour. The noodles were a little mushier than I prefer, but the sauce was bang-on slurp-worthy. And of course, their signature “Xiao Long Bao”, or steamed pork soup dumplings. There’s a very particular method to eat these, to help prevent you from burning your tongue or mouth. First, with the soup dumpling in your spoon or bowl, gently break open the thin casing to let the fragrant soup escape. Then after a few moments to let the soup cool, you can pop the whole thing in your mouth and enjoy the heavenly juicy pork filling combined with the thin yet chew casing. Delightful! You can also opt for different dumpling fillers, such as chicken, shrimp, crab, fish, or a combination of these flavours. We also orded a pan-fried version of the Xiao Long Bao – “Shanghai Pan Fried Pork Buns”. It’s a little different, as the skin is not as thin and more thick and chewy, but it still has the juicy pork filling, with an bonus crispy bottom. 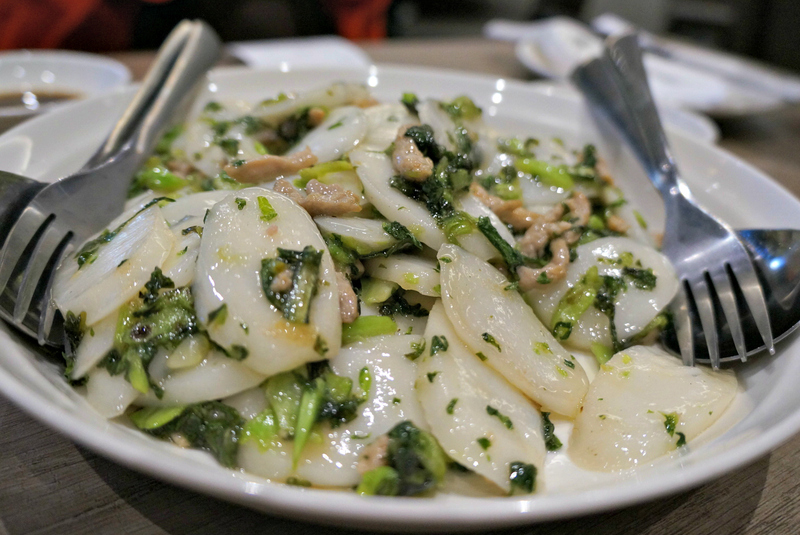 This “Stir Fried Rice Cake with Salted Vegetables & Pork” is so addictive. The soft rice cake is chewy and glutinous, flavoured by the tidbits of veggies and pork. I was glad to see that it wasn’t too salty or oily (as it can often be). All in all, a great meal at Dinesty Dumpling House. It’s great to see another fantastic lunch/dinner option in the Burnaby/Kingsway area, and I will definitely be coming back for more dumplings. If you haven’t had Xiao Long Bao’s (XLB) yet, you gotta try it!